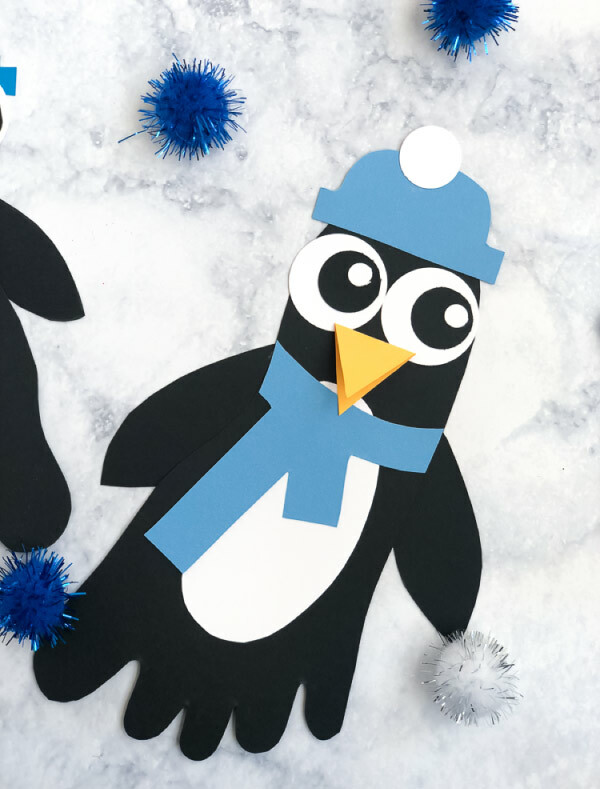 Inside: This winter, make this adorable footprint penguin craft for kids! Ever since we made our first handprint craft (it was this cute fish one), we’ve been hooked on them. The kids love to see their little hands or feet transform into a work of art and parents love preserving their child’s memories. 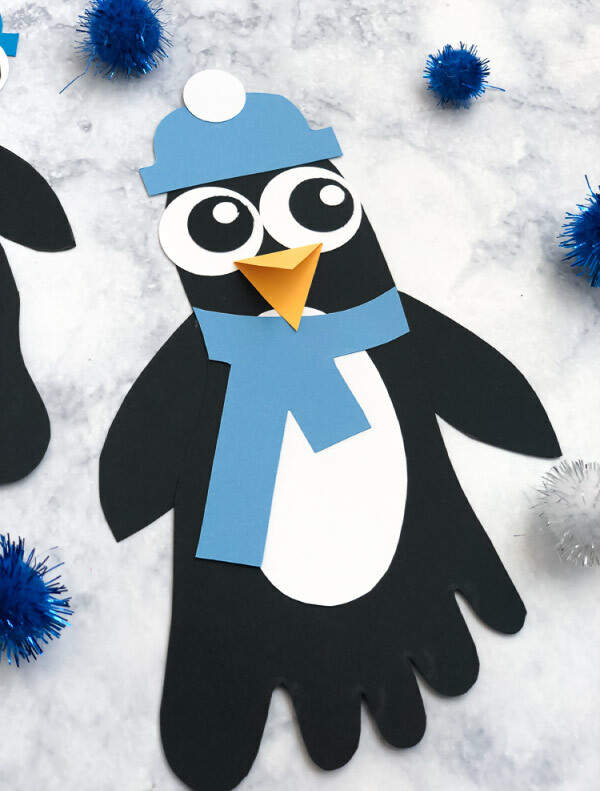 With winter in full swing, we decided to turn a footprint into a silly, lovable penguin complete with giant eyes and a beak that opens up. 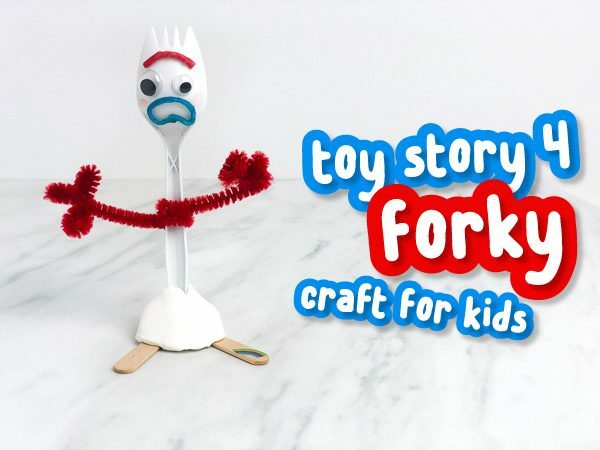 Read on below to see how simple they are to make at home with your kids. 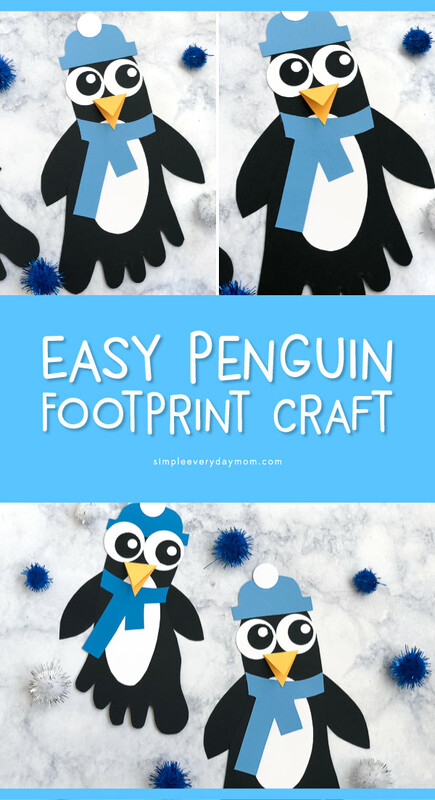 This footprint craft is simple to make and only requires supplies that are easy to pick up at most stores. 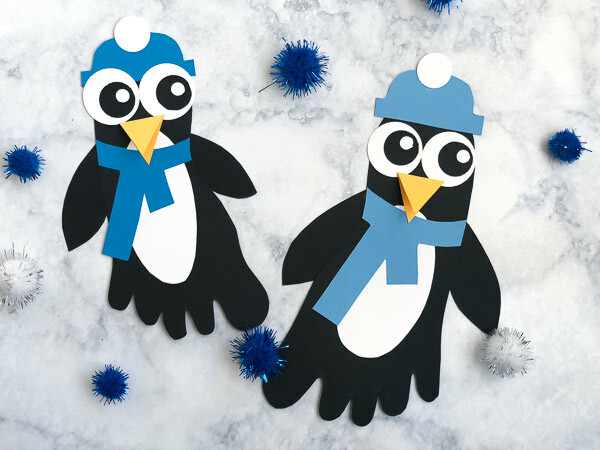 Download the penguin template and print out on thick white cardstock. Cut out all the pieces. Trace the hat and scarf onto blue cardstock. 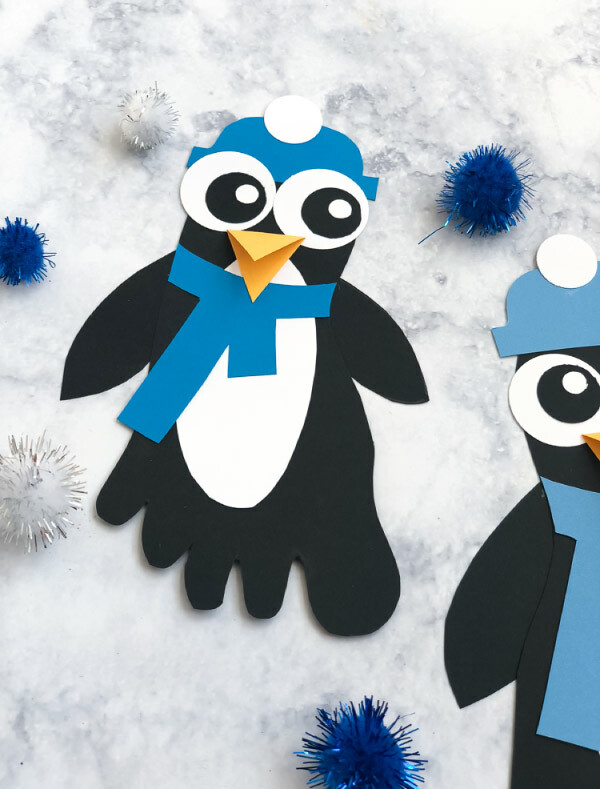 Trace the penguin arms onto black cardstock. Trace the penguin beak onto the yellow gold cardstock. Trace the oval onto white cardstock. Cut them all out. 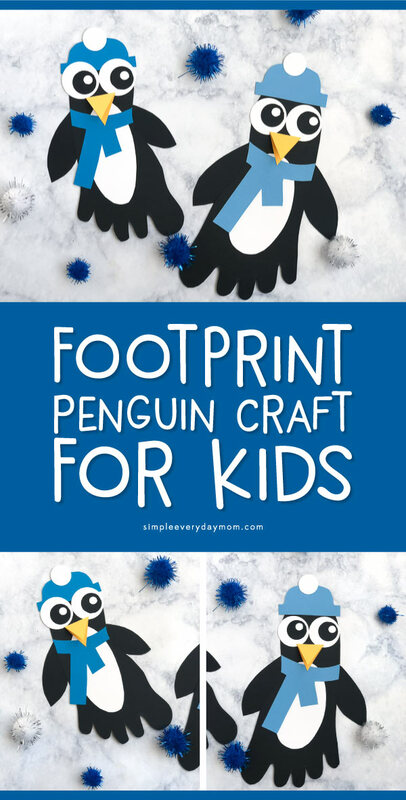 Trace your child’s foot onto a piece of black cardstock and cut out. Use the 1″ circle punch to punch out two white circles. Use the .5″ circle punch to punch out two black circles. Use the standard hole punch to punch out two small white circles. Assemble the eyes by gluing the small white circles onto the black circles and then gluing the black circles onto the larger white circles. Fold the yellow diamond in half to make the penguin’s beak. Build the penguin by gluing the white belly in the center of the footprint. Next glue the scarf onto the neckline. Trim the excess scarf off with scissors. Glue the arms behind the footprint at the same level as the scarf. Glue the hat onto the top of the footprint, then glue the eyes onto the face area. Finally, glue the bottom half of the diamond beak onto the eyes and belly. 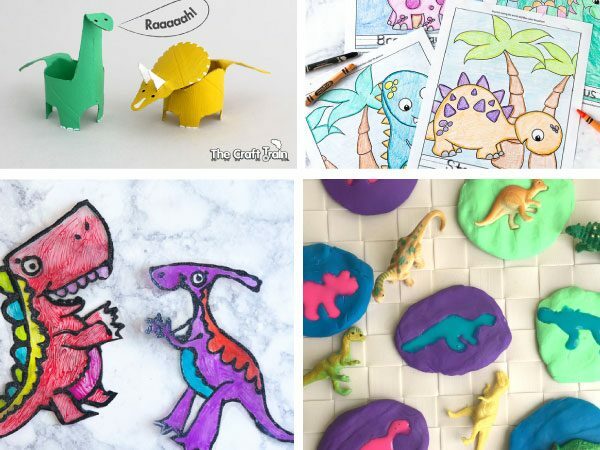 My 4-year-old had so much fun playing with these little guys once they were finished and I bet your children will love them too. If you want a little extra help getting the pieces to look right, don’t forget to enter your email in the form below to download the free template. 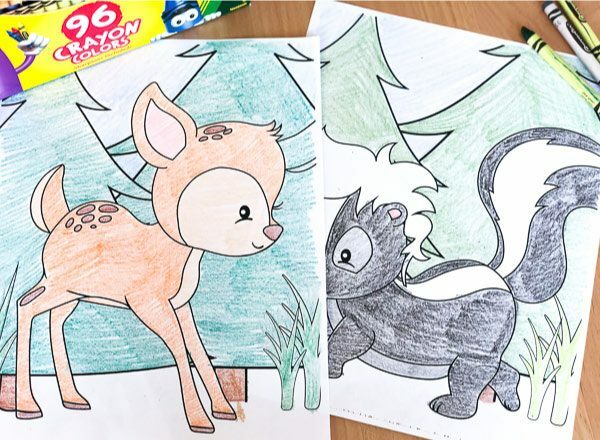 We did this fun craft at our family daycare today. 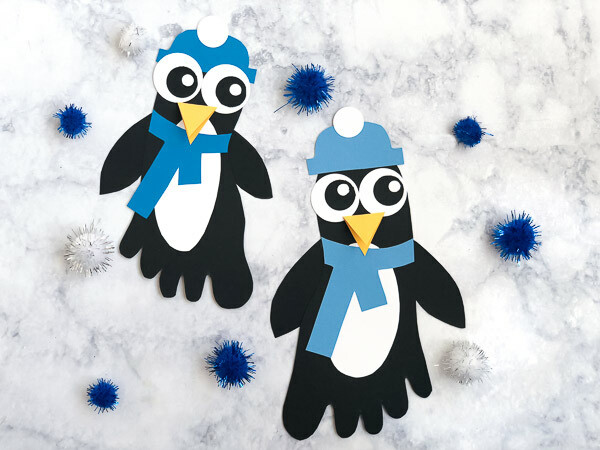 We used plastic googly eyes in varying sizes (instead of paper circles), and glued the penguin arms on at different angles to make each one look more life-like and unique. 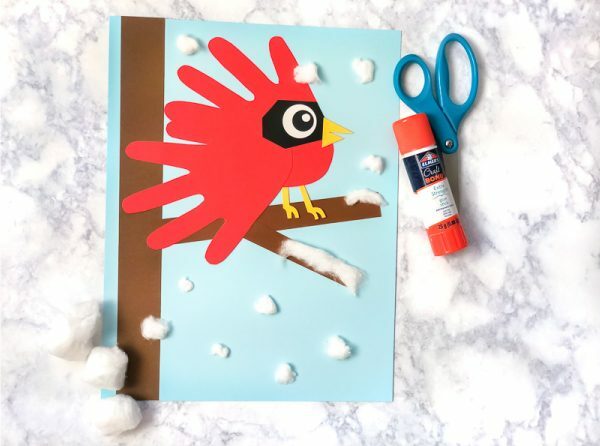 We loved this craft idea and so did the kiddos! Thanks for sharing.